I had to be in Seattle last week for work, and there’s nothing like travel to make you curious about everyday things you usually ignore at home. 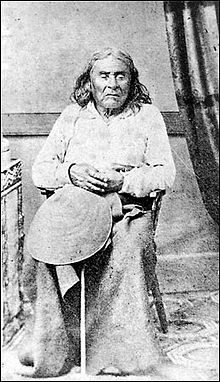 I got to wondering about the origins of the city’s name — turns out it was named in 1853 after Chief Seattle (actually spelled Si’ahl) who led tribes local to the area. New York: named in 1664 after England’s Duke of York who went on to become King James II (England’s last Catholic king who had daughters Mary and Anne…Mary being the one who married William and together overthrew James, Anne being the one who succeeded them and was the final monarch in the House of Stuart). Philadelphia: named in 1682 after a city in what was Asia Minor (and is now in modern-day Turkey) whose name means “brotherly love” in Greek. Now I know where the slogan comes from. Three of the top 10 cities got (and have maintained) the names that we know today as far back as the 1600s despite not being located on the east coast. 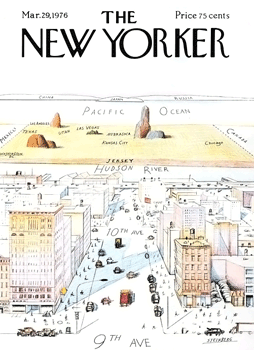 I guess the US really isn’t a Saul Steinberg cartoon. There’s extensive diversity of language origin — above, we see names rooted in four languages: English, Spanish, Greek, and Miami-Illinois. I wonder if any other country’s largest cities have as extensive a mix. Next time I’ll do names for the largest cities globally.